Congratulations to Aime Cloake and Robyn Clayton (both TY 1) for participating in the StartBox Gold Programme Showcase Finals in the National Stadium today, Tuesday, 27th November 2018. 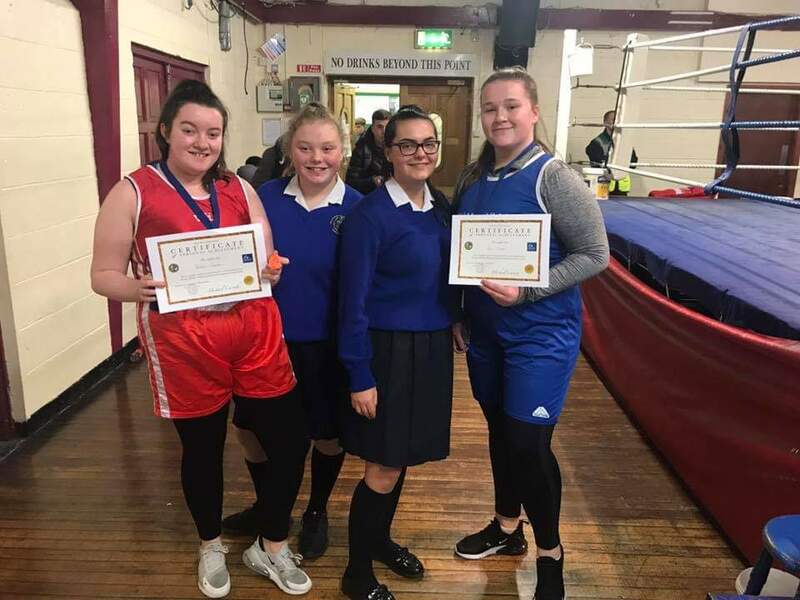 Both displayed brilliant boxing skills in front of a very vocal cheering section of their classmates, and it brings the StartBox Programme – run by Dublin City Council – to a successful conclusion. 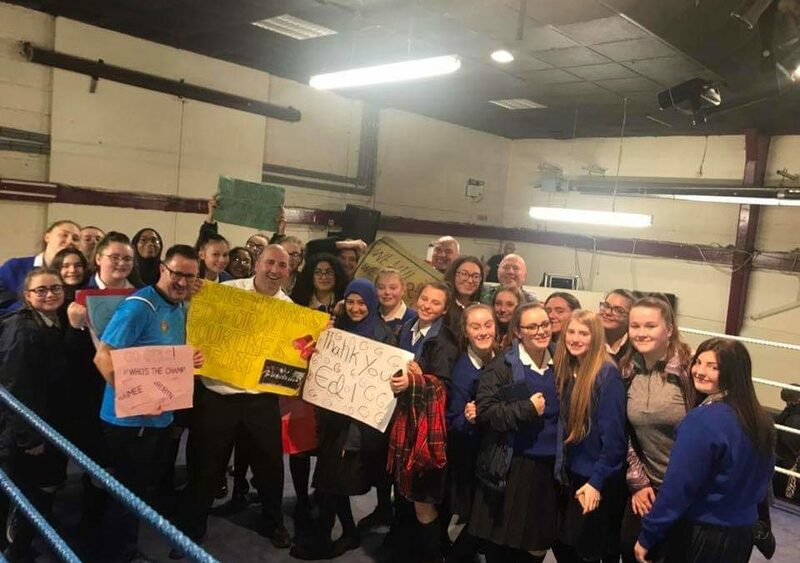 A HUGE THANK YOU must go to the phenomenal boxing coach, Ed Griffin, for all his tireless efforts with all our Transition Year students over the past 13 weeks. As always, he was absolutely fantastic and the girls enjoyed the programme immensely.